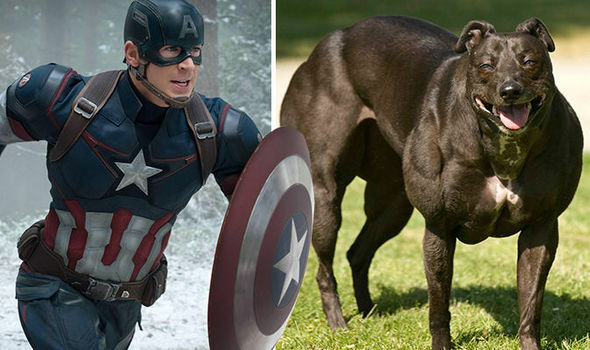 Armies of super-soldiers were a step closer to reality today after China announced it was genetically engineering hyper-muscular super-dogs. The dogs, which are test tube bred in a lab, have twice the muscle mass of their natural counterparts and are considerably stronger and faster. The canine genome has been especially difficult to engineer and replicate – but its close similarity to the human genome means it has long been the prize of geneticists. 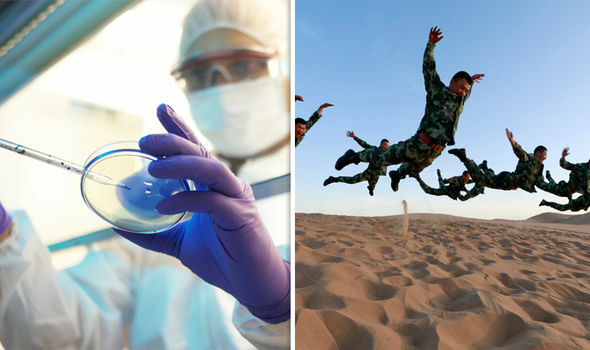 Now the Chinese success has led to fears the same technology could be used to create weaponised super-humans – typifed in Marvel Comics by Captain America and his foes. David King, director of Human Genetics Alert (HGA), voiced his fears over what is widely viewed as the first step on a slippery slope. He told express.co.uk: “It’s true that the more and more animals that are genetically engineered using these techniques brings us closer to the possibility of genetic engineering of humans. “Dogs as a species, in respect of cloning are very difficult, and even more difficult to clone human beings. “There’s no medical case for it, the scientists are interested in being the first person in the world to create a genetically engineered child. “They’re interested in science and the technology and their careers. They will continue pushing the regulations for it. An army of super-humans has been a staple of science fiction and superhero comics for decades – but the super-dog technology brings it closer to reality. The Chinese researchers first self-bred cloned dog was named Little Long Long. 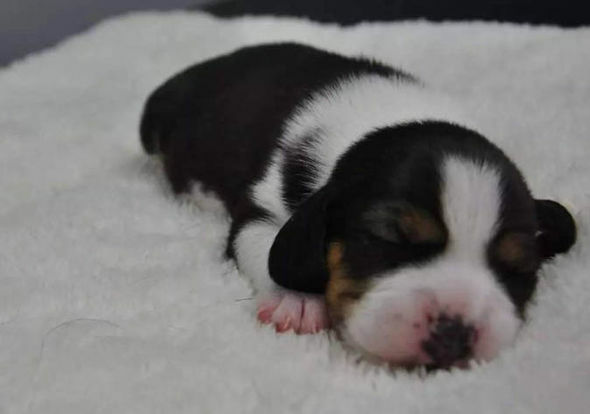 The beagle puppy, one of 27, was genetically engineered by ‘deleting’ a gene called myostatin, giving it double the muscle mass of a normal beagle. The advanced genetic editing technology has been touted as a breakthrough which could herald the dawn of ‘superbreeds’, which could be stronger, faster, better at running and hunting. The Chinese official line is that the dogs could potentially be deployed to frontline service to assist police officers. Some 65 embryos were ‘edited’, and from that 27 were born, with Little Long Long the only one who was created without the myostatin gene. Myostatin is known to control muscle size in humans. 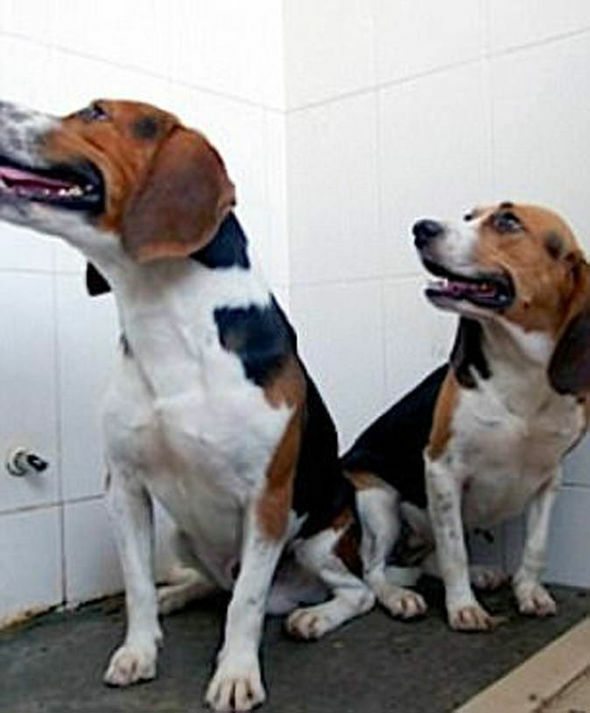 Dogs are one of the hardest animals to clone, with only South Korea thought to have successfully created a clone in the past. As well as the enhancements, researchers said in the Journal of Molecular Cell Biology some dogs will be bred with DNA mutations in a bid to help medical research, including some which mimic Parkinson’s. Dr Lai added: “The goal of the research is to explore an approach to the generation of the new disease dog models for biomedical research. But some have criticised the experiments, citing ethical concerns. Mr King said: “This is the way it’s likely to proceed if the law is changed, first of all they will use it for medical purposes, most likely to treat a genetic condition. There are also fears that, as well as medical, tinkering with genetics could also lead to a rise in designer or novelty pets. Dr Lai said his team have no intentions to breed the bulked up beagles as pets. But Mr King also voiced fears that this breakthrough, coupled with existing cases of altering human embryos, could lead to further calls for designer babies. The director of HGA, and independent body, claimed there are multiple examples of eugenics going on already, citing women who are intelligent and beautiful are paid more for their eggs in the US. Mr King said: “It’s not scaremongering. “I’m seeing the beginning of a campaign within the scientific community to legalise human genetic engineering. “We’ve seen how it happened with the thee-parent embryo. There are strict laws around cloning, but one example of a case in the UK is Dolly the sheep. Born in 1996, she died aged six in 2003, half the normal life span of a Finn Dorset sheep. And recently, an artificial womb for premature babies was tested on lambs, and showed significant success. Lambs born at the equivalent of 23 weeks were placed inside the fake womb which contained fluid mimicking that found in an amniotic sac. They remained inside for 28 days, and continued to develop, even growing white fleeces. Guo Longpeng, the China press officer for the Asia division of People for the Ethical Treatment of Animals, said: “Cloning is unethical.